When I was 11 I wrote in my journal that I was feeling very confused because I really liked my new boyfriend but I felt like it was overtaking my love for NSYNC. “I have one problem though. And this is VERY hard to say. I still LOVE NSYNC but I don’t know what to say. I just feel like I’m about to grow apart from 5 GREAT GUYS.” I was torn. How could I be obsessed with two things at once? Needless to say, a few days later, I wrote that I got my NSYNC love back and I was feeling great. And clearly I haven’t grown apart from those five guys yet, even with a handful of boyfriends along the way. So I’ve been through this before. It’s a balancing act. I can spend all day with my job that I love and still make time for my blog (and my friends, and cooking, and yoga, and exploring, and dating) which I love too. I’m going to refocus on this balance this spring. It’s the most special thing to be able to choose to what and to whom you connect with. And to have multiple passions, well, aren’t I just lucky? Those things – spending mornings in the kitchen, long walks with my dad, learning more about photography for Cava projects, knowing the It’s Gonna Be Me dance after 14 years – those are me. 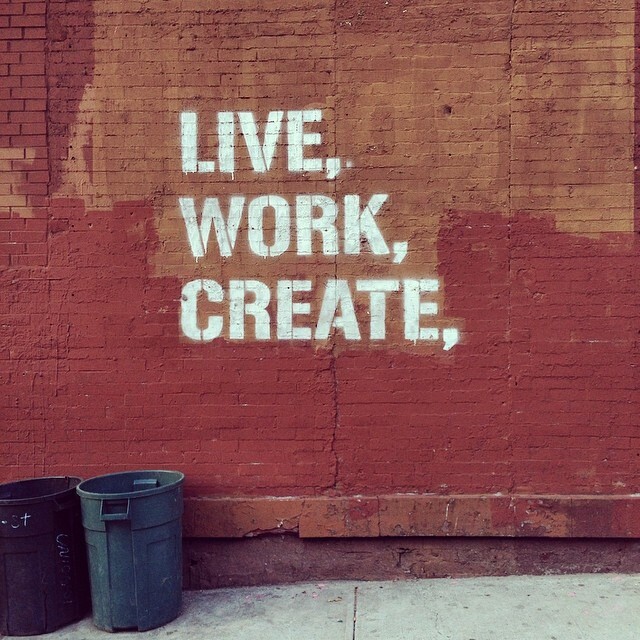 Live, Work, Create. Let’s do it all. This entry was posted in Life on April 22, 2014 by Nikki.